Der von Ihnen gefundene Preis ist 17 % niedriger als der durchschnittliche Preis dieses Hotels von $ 169 pro Nacht. At ME Sitges Terramar we highly value our guests' opinion as our main goal is your total satisfaction. We would like to inform you we are open again and hope to welcome you back for this amazing 2019 season. First of all, thank you so much for the time invested to share with us the details of your experience. The feedback with our guests is our most valuable tool for improvement and development. We are so happy to know you lived a five star experience with us, in ME Sitges Terramar, we daily work focused in the total satisfaction of our guests, that is why feedback like yours, encourdage us to go on working with ilusión and commitment. We hope to see you son, enjoying the ME Sitges Terramar´s experience, where the Mediterranean shows its more carefree and sophisticated face. Komplett „wie neu“ renoviert, geschmackvolle „stylische“ Einrichtung, tolles Bad, hochwertiges Frühstück, tolles Mittagessen, Meeresblick. Fühlt sich an wie 5 Sterne. Den in vielen Kritiken geäußerte schlechte Service haben wir nicht erlebt, ganz im Gegenteil: es ist im Vergleich zu manchem 5-Sterne Hotel besonders um uns gekümmert worden. ¡Thank you for sharing this amazing review with us! At ME Sitges Terramar we are extremely glad your experience with us was as special as we planned it to be for you. All the team would feel honor to have another opportunity to welcome you back very soon. We remain at your total disposal for anything else you might need and so to be able to make you live another incredible experience with us. Neu renoviertes Hotel. Lobby und Restaurants sehr stylisch eingerichtet. Zimmer sind recht gross, Betten bequem. Grosszügiger Liegenbereich mit mittelgrossem Pool und DJ. Der beach club (am Strand vor dem Hotel) hatte am Samstag eine tolle Abschlussparty. Hotel eher für Paare/Familien geeignet als für Singles weil doch recht weit vom Trubel des Stadtzentrums entfernt. Thank you very much for sharing your recent experience with us. 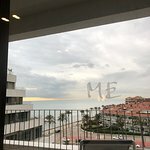 At ME Sitges. We highly appreciate every feedback. It will be a real pleasure to welcome you again and provide you with this excellent service, our goal is to make our guests feel special and highly valued. Hope to see you soon at ME Sitges. Sehr zu empfehlen in jeder Hinsicht. Man fühlt sich rundum wohl, wird verwöhnt, es bleiben keine Wünsche offen und man kann sich super erholen. Die Lage ist optimal. Ich würde das Hotel jederzeit wieder buchen und auch allen meinen Freunden weiterempfehlen. Zimmertipp: könnte ich jetzt nicht abgeben, denn alle Zimmer, auch die unserer Freunde, waren hervorragend. First of all, we would like to express our gratitude for the trust placed in ME Sitges Terramar, as well as for the time invested in the resolution of this questionnaire. For us, the feedback with our guests is a very valuable development tool since it allows us to know those aspects in which we do not reach 100% of satisfaction of our guests. 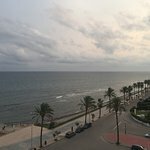 We are so happy to check you lived an amazing experience with us and We hope to see you , enjoying the ME Sitges Terramar experience, where the Mediterranean shows its coolest and carefree face. Im Rahmen einer Firmenveranstalting 2 Nächte in diesem Hotel verbracht und es gibt keine großen Beanstandungen. Service war über die 2 Tage sehr gut und auch das Essen war prima. Zimmer neu renoviert und top ausgestattet. Sogar Nespresso-Maschine für kostenlosen Kaffee im Zimmer. Würde wieder hinfahren. 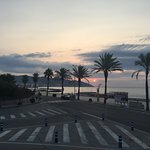 First of all, thank you so much for choosing ME Sitges Terramar as your hosting option during your last visit to this amazing destination in the coast of Catalonia. We happily check that your experience with us was so pleasant as we wish it to be. ME Sitges Terramar´s family works daily focused on the completed satisfaction of our guests. We hope to see you soon, meanwhile take care and enjoy!